DO I NEED A FUME FILTRATION UNIT? Quite simply, the choice is yours. CTR highly recommend the use of a filter unit when using a laser machine. This method of extraction is generally cleaner, easier and safer than venting to the atmosphere, although more expensive. The fume filtration units are constructed of corrosion resistant stainless steel, and are mounted on four castors for increased mobility. CTR will simply wheel in your laser machine and filter unit, link them up, and talk you through the simple process of using them. The filter unit takes care of the rest. 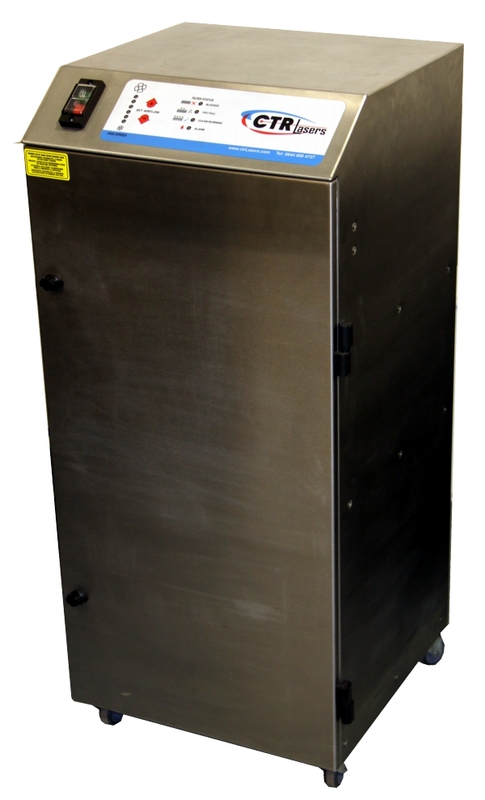 CTR fume filtration systems are designed to protect personnel from inhaling hazardous fumes and dust that are generated when a material is marked, cut or engraved with a laser. Laser marking and coding of packaging and products with traceable information such as barcodes, batch codes and sell by dates. Laser cutting of a variety of materials. Engraving logos, text and other images onto a wide variety of materials. A special range of filters are available for cutting thicker metals with MicroStep machines - please contact us for details. IMPORTANT: Please be aware that venting to the atmosphere will not remove any harmful particles from fumes that may be created by laser cutting/engraving a material. Click here for more health and safety information. If you choose to vent to the atmosphere, it is the responsibility of the operator of the laser machine to ensure that no harmful particles caused by lasing any materials are exposed to the environment through this method. a suitable hole or method planned to vent to the atmosphere (through a window, or more usually a hole in the wall). 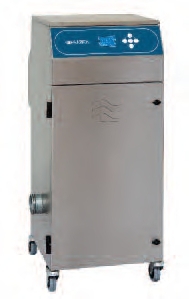 a backdraft eliminator or louvre vent to ensure that the wind, rain and elements do not blow back through the ventillation hole and affect the laser machine.